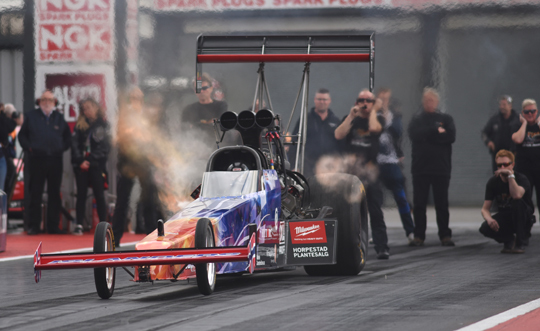 The European Finals at Santa Pod Raceway was the sixth and final race of the 2017 FIA European Drag Racing Championship. Bad weather hampered the grand finale, but the champions couldn’t be stopped by the rain as they all reached the finals in their respective categories. With Duncan Micallef, Timo Habermann, Michael Gullqvist and Bengt Ljungdahl the FIA European Championship got the champions that deserved the titles the most, and luckily, the title race in all four classes was already decided before the rain brought an early end to the last event of the championship. 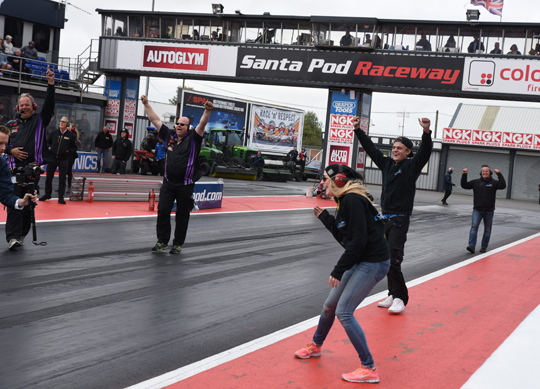 The qualifying and eliminations results were published on Dragracingeurope.eu during the event, and all details can always be reviewed in the excellent live coverage on Eurodragster.com. In this article we look back at some highlights and notable events of the European Finals. 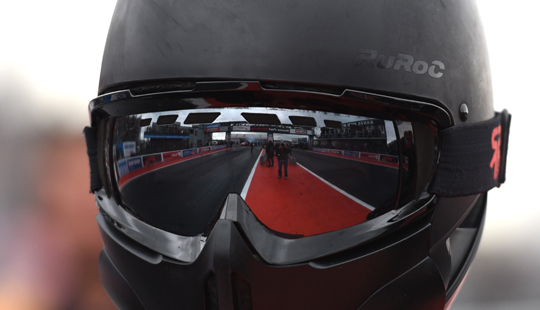 With only one qualifying run, it was difficult to see who would be the favourite in eliminations to win the race or even claim the title, as leader Duncan Micallef and runner-up Antti Horto were separated by only 51 points. It was Horto who made the most of it, claimed the number one qualifying position and prevented the unique ladies qualifying top three of Anita Mäkelä, Maja Udtian and Jndia Erbacher. 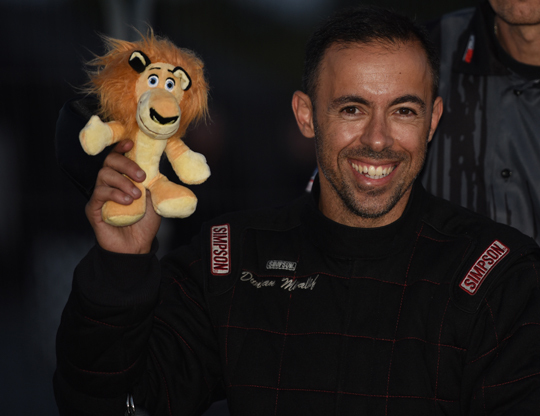 Duncan Micallef qualified in fifth position, with Liam Jones as the most important victim of the one shot qualifying. After an aborted run the triple number one qualifier of the 2017 season was in ninth position and outside the elimination ladder. The 2017 title race was decided in the first round of eliminations. Micallef was in the first pair and with a win over Jndia Erbacher the Maltese driver would secure the title, even if Horto defeated Stefan Gunnarsson. Micallef did what he had to do, and although it was not an easy run, the 4.15-second elapsed time was enough to beat Erbacher and claim the title. 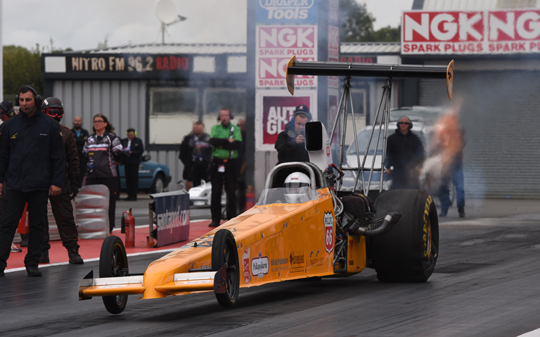 It’s the first FIA European Top Fuel title for a Maltese driver. But even a loss against Erbacher would not have changed the championship outcome, as a few minutes later Horto was defeated by Gunnarsson. 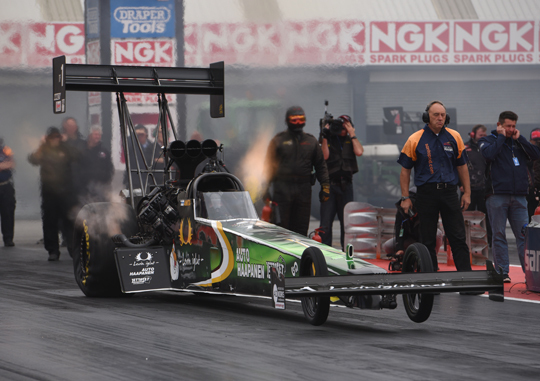 Because the Swede had too much damage after an engine explosion in round one, the 2017 champion had a bye run in the semifinal and advanced to the final. On the other side of the eliminations ladder Michael Kågered had a bye run, as Udtian had to stop her car after a fuel leak in the burn out. In the semifinal the Swede had to face Mäkelä. The 2016 champion bounced back after a difficult season, defeated Stig Neergaard in the first round and Kågered in the semifinal, to advance to her first final of the season. 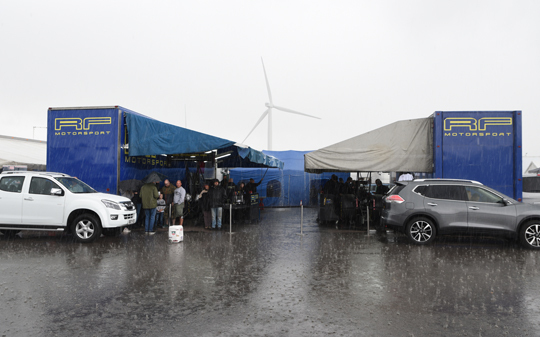 It would have been an interesting confrontation between the 2016 and 2017 FIA European champion, but unfortunately, the weather didn’t cooperate and the finals in all classes had to be cancelled. In the championship Horto remained in second position, while his semifinal finish made Kågered move up from fifth into the third spot, with Neergaard fourth and Mäkelä fifth. As a result of his non-qualifying Jones dropped from fourth to sixth in the final points standing. Timo Habermann secured the 2017 FIA European Top Methanol Championship in qualifying for the European Finals. Dennis Habermann was the leader in qualifying after the first run with 5.435 seconds, but was beaten by 0.001 seconds by his brother and 2017 champion Timo. 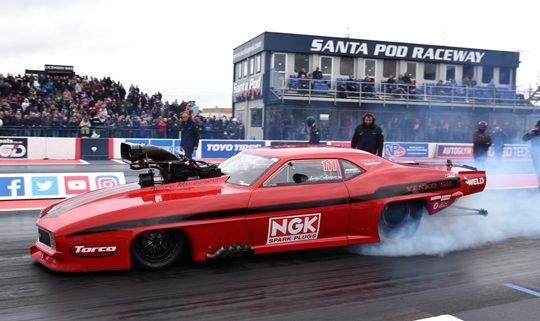 Jonny Lagg was back to form with a great 5.46 seconds, while Sandro Bellio struggled with the Santa Pod track, which was bumpy for Funny Cars. As Bellio once again had to lift in his first round eliminations run against Lagg, and was defeated, Dennis Habermann’s second position in the championship was safe. Timo Habermann wanted to celebrate his championship with a win, defeated countryman Jürgen Nagel in the first round to advance to the final with a bye run in the semifinal. 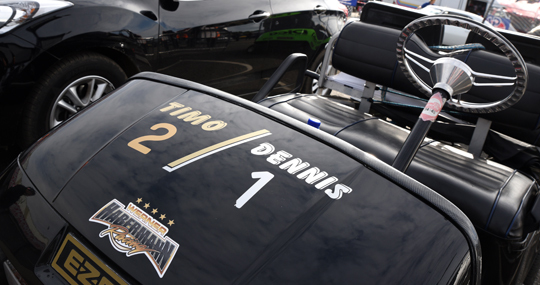 But where everybody expected Dennis Habermann in the final, the German driver was defeated by Lagg in the semifinal. 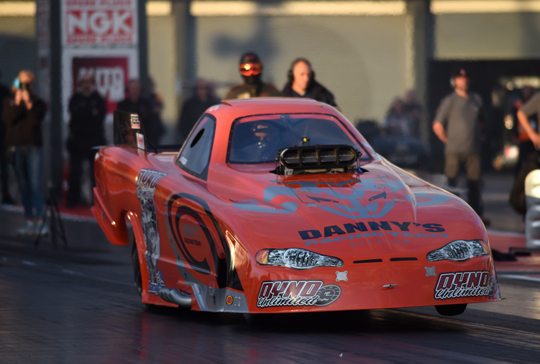 The 2016 TMD champion stormed to 5.40 seconds, quick enough to beat Dennis’ 5.44 seconds elapsed time. Behind Timo and Dennis Habermann, Lagg ended the championship in third position, with Bellio fourth. 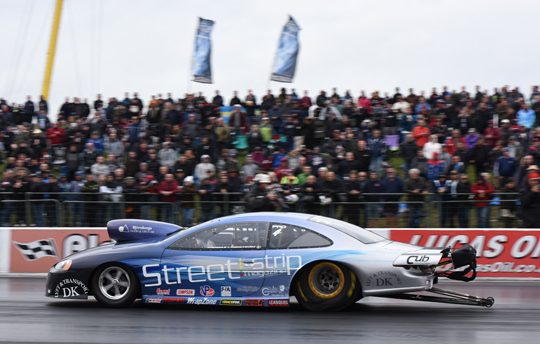 In Pro Stock the season long battle between leader Bengt Ljungdahl and number two Stefan Ernryd had to reach its climax at Santa Pod. 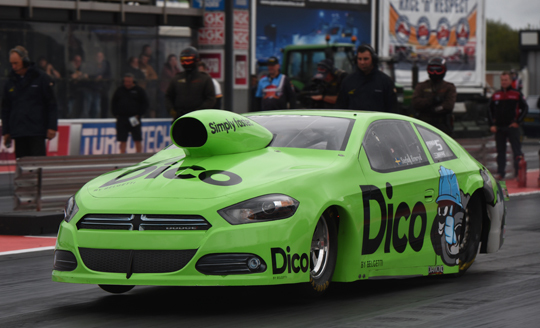 The Dico Dodge driver made it even more exciting by claiming the number one position in the one shot qualifying, while Ljungdahl struggled with mechanical problems and was only in sixth position. Thomas Lindström was the number two qualifier with 6.71 seconds, while Robin Norén was happy with his 6.75 seconds and third qualifying spot. 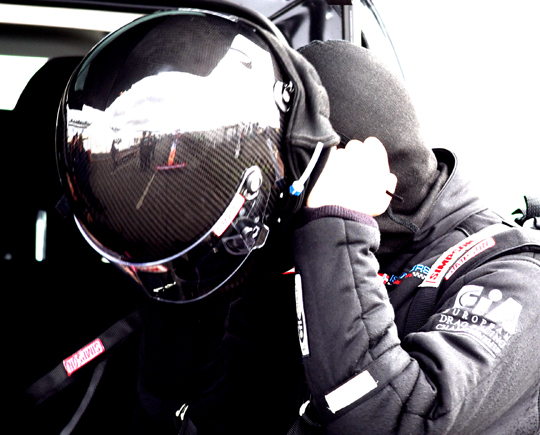 Ljungdahl was back to form in the first round of eliminations and defeated Norén with a great 6.63 seconds elapsed time. But as Ernryd also advanced to the semifinals after a bye run in the first round, the title fight was still not over. 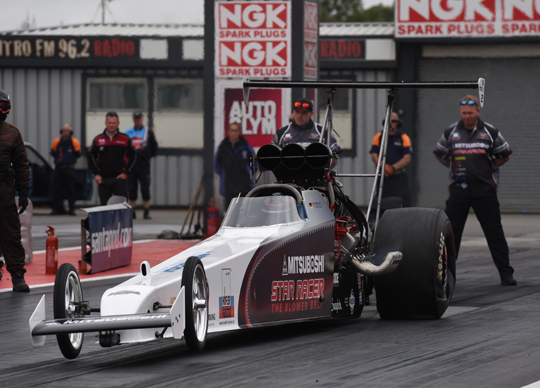 Lindström had a bye run in the first round as Michael Malmgren had problems at the start line, but the former champion left before the tree was activated and as a result his run was skipped and Lindström was out of competition. 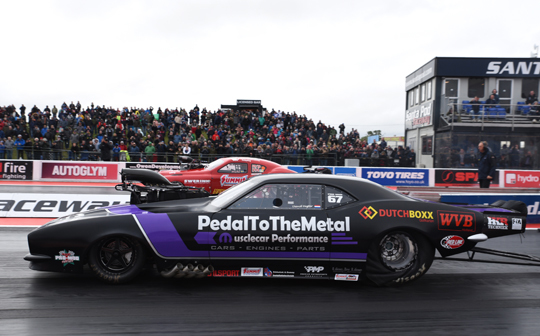 That handed Ljungdahl the 2017 Pro Stock title as the Swede suddenly had a bye run in the semifinal, and only had to take the green light to gain the 20 points needed to claim the championship. Ljungdahl did what he had to do and the first big trophy was in the pocket. On the other side of the elimination ladder Ernryd advanced to the final after defeating Simon Gustafsson, who upset Magnus Petersson in the first round with a huge holeshot win. 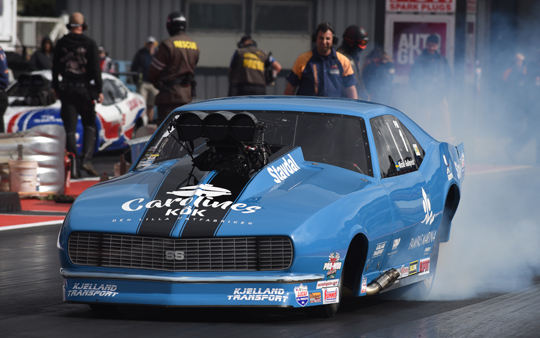 In the championship standing Malmgren finished in third position, with Lindström fourth and 10-time champion but this season part time Pro Stock racer Jimmy Ålund fifth. 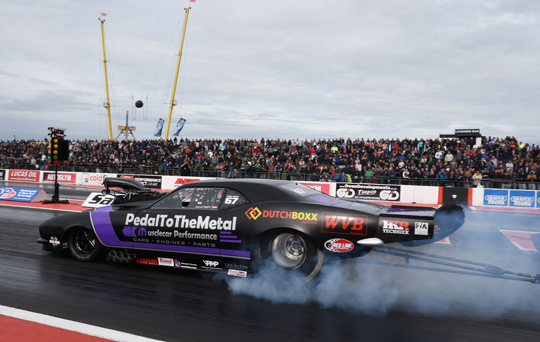 Like Timo Habermann in Top Methanol, Michael Gullqvist prematurely secured the 2017 FIA European Pro Modified Championship in qualifying for the European Finals, the third consecutive title for the Swede. 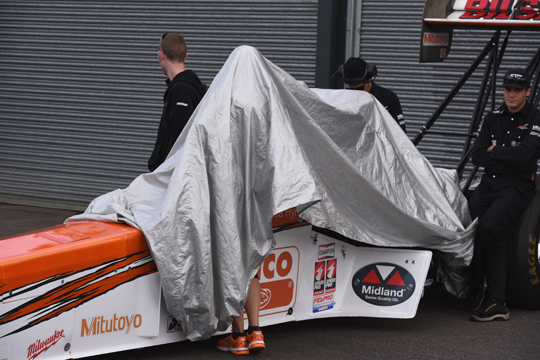 But it was the number two in the championship standing, Jimmy Ålund, who claimed the number one qualifying position with 5.97 seconds. Andy Robinson was second in his home race, with Bruno Bader third, David Vegter fourth and Marck Harteveld fifth. Behind Kim Kristiansen, Gullqvist was only in seventh qualifying position. Håkan Persson, the number six in the championship after five races, and Roger Johansson were the surprise non-qualifiers for the 16-car elimination ladder. 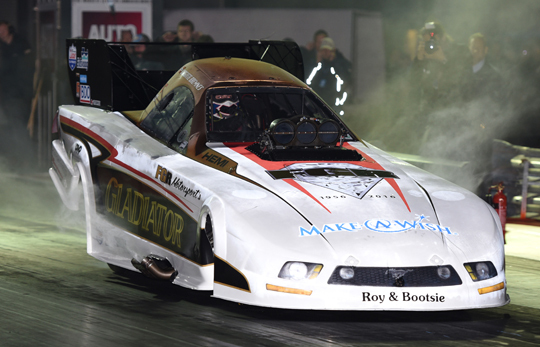 In eliminations Gullqvist was back to form and with a string of three 5.9-second runs the champion defeated Michel Tooren, Robinson and Kristiansen. Knowing they could only beat Gullqvist with a great reaction time, Tooren and Kristiansen both pulled a red light. 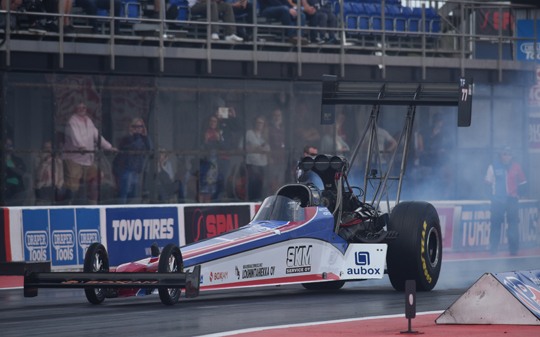 On the other side of the elimination ladder Vegter and Jan Ericsson recorded exactly the same elapsed time with 6.069 seconds, but with a better reaction time Vegter advanced to the next round, where the number three in the championship had to face his countryman Harteveld. 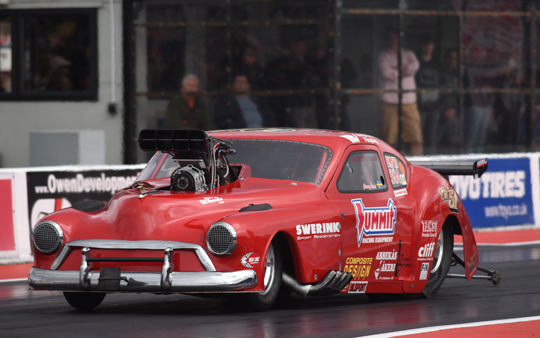 As the Voodoo Hemi Racing driver pulled a red light, Vegter was in the semifinal for the confrontation with Ålund. 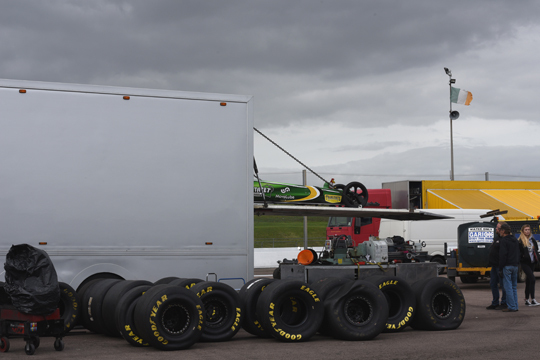 Both drivers ran into traction problems, but as Vegter got his car under control first, the Dutch driver advanced to the final. As in all other classes, also this final could not be run. Behind Gullqvist and Ålund, Vegter ended the championship in third position, with Åke Persson fourth, Bruno Bader fifth and Håkan Persson sixth. 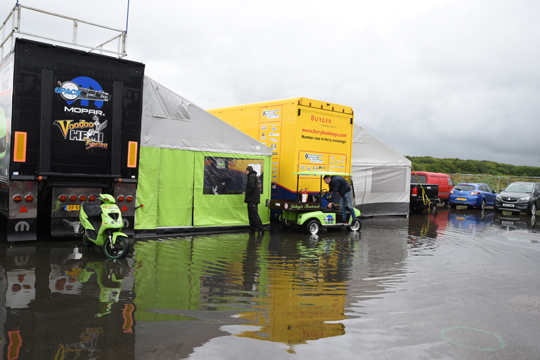 The flooded Voodoo Hemi Racing and Pro Dutch Racing pits. 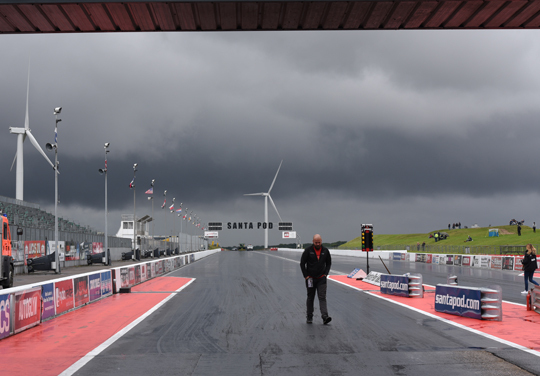 Dutchmen are used to live behind dikes, but Santa Pod didn’t have dikes in the pits. 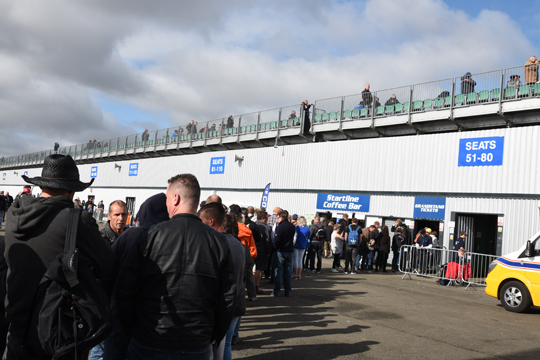 The traditional British queue for the grandstand tickets, as busy as on a sunny day. 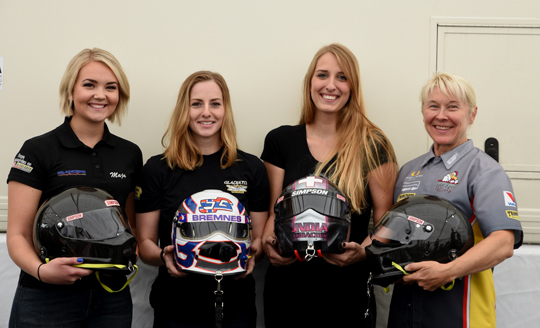 The ‘first ladies of nitro racing’ at Santa Pod, Maja Udtian, Birgitte Bremnes, Jndia Erbacher and Anita Mäkelä. 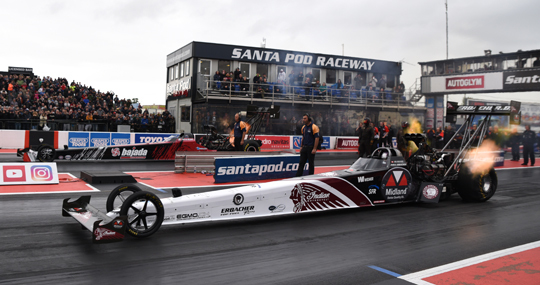 19-year old Maja Udtian made her Top Fuel competition debut at Santa Pod. 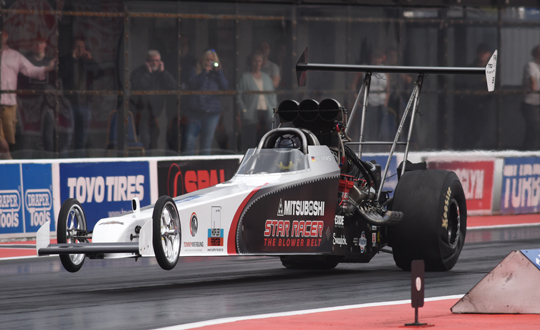 After an impressive qualifying attempt, the Top Fuel rookie was in third position. 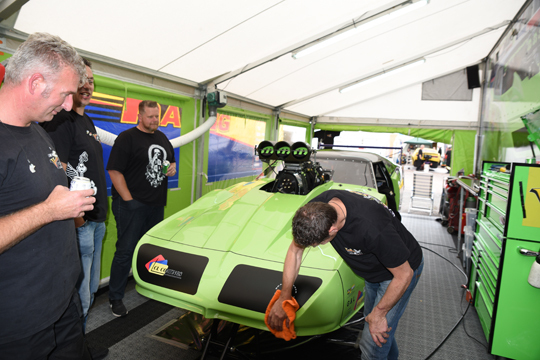 In the first round of eliminations the Norwegian racer had to shut off the engine at the start line with a fuel leak. 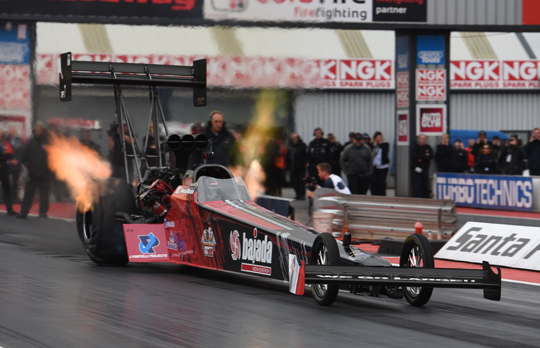 In two weeks the Nitro Vikings team will be back to give Maja some more seat time at Santa Pod’s National Finals. 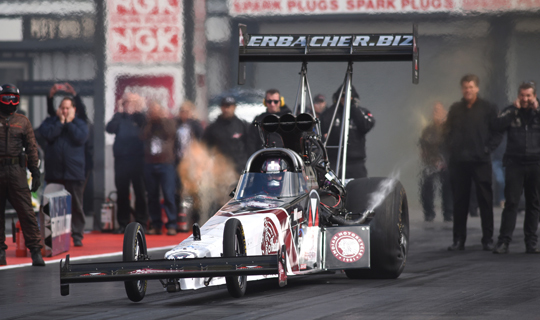 For Jndia Erbacher the European Finals was her third Top Fuel outing of her rookie season. 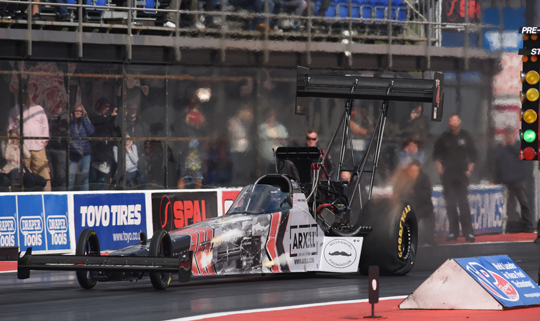 It was not Anita Mäkelä’s season, but in the last race of the year the 2016 FIA European Top Fuel champion reached the final, a good sign for better things to come next year. 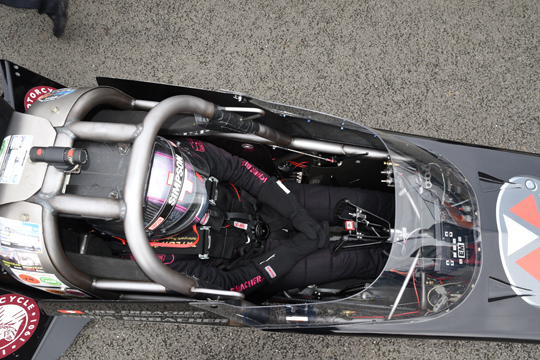 Birgitte Bremnes was runner-up last year at Tierp in the first ever all female FIA European Championship Top Fuel final. 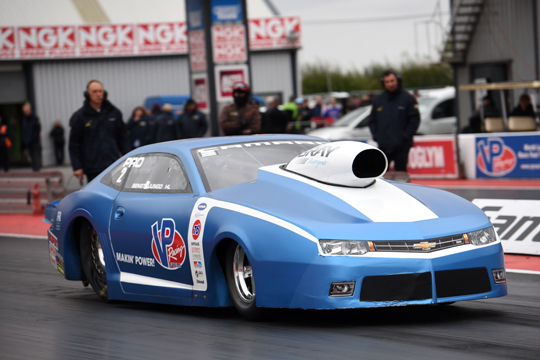 The Norwegian racer is driving a nitro Funny Car in England his season. 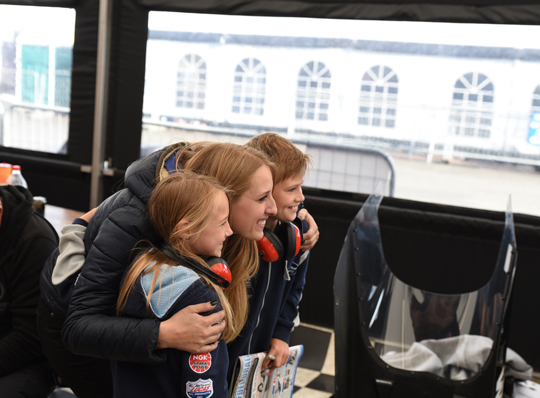 Pro Stock driver Thomas Lindström had two new and helpful crew members. 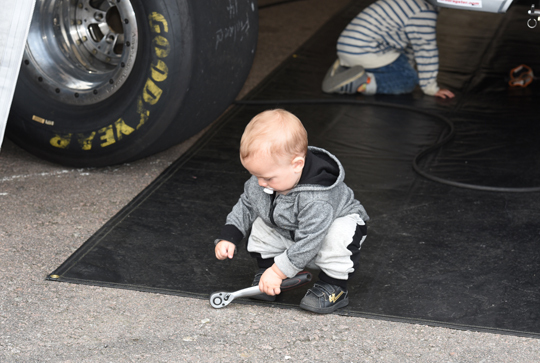 You are never too young to learn the ropes. It’s good to see other people do the dirty jobs. 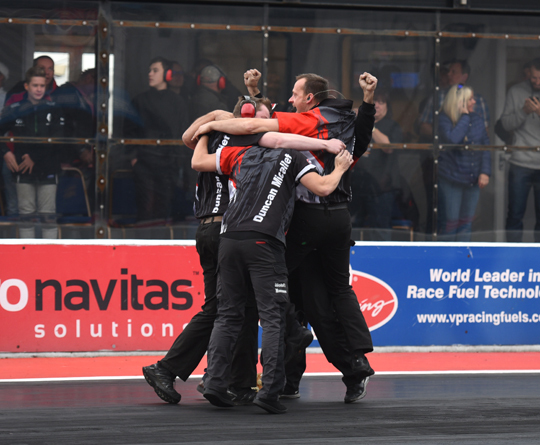 Happiness at the race track, David Vegter’s crew celebrating the semifinal win over Jimmy Ålund. A young fan gets a seat in Liam Jones’ Top Fueler. A fan forever. 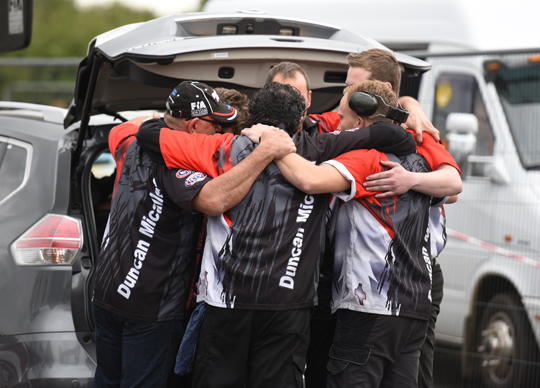 Duncan Micallef’s crew shortly before the first round of eliminations. A win and the title was theirs. The intercom test for Jndia Erbacher. Looking at all the gestures, they were not on the same wavelength. This was 2015. 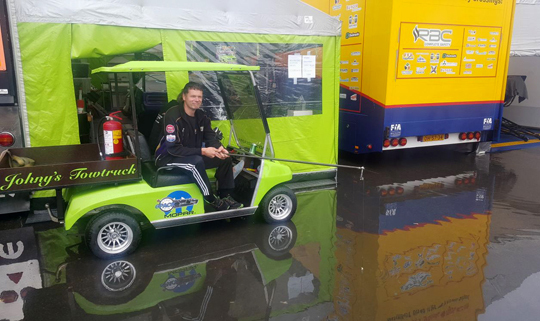 The Werner Habermann Racing golf car will need some changes now. 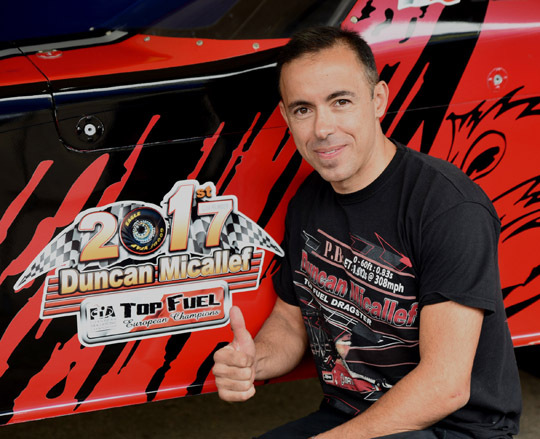 The Maltese Lion, Duncan Micallef, the first FIA European Top Fuel champion from Malta. But even a champion has to clean his own race car. Jndia Erbacher her favourite office. 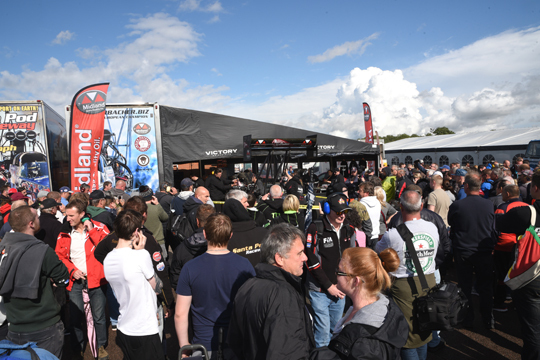 See you all next year, May 2018, same place, same time, better weather please.